Newcomer Family Obituaries - Charles Haught 1933 - 2018 - Newcomer Cremations, Funerals & Receptions. 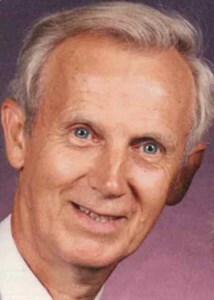 Charles Haught, 85, of Randolph, Ohio passed peacefully on November 30, 2018 at Akron City Hospital. Charles loved life everyday but was ready to meet the Lord. He was born at Akron City Hospital on October 27, 1933 to the late Mildred and Warren Haught. Even from a young age, Charles was industrious, hard-working, and responsible. Charles worked at R.C. Musson Company for 42 years, where he eventually retired. Following his retirement at age 59, Charles was dedicated to working in his community. He was a member of the Lions Club for many years, and active with Habitat for Humanity and the Food Shelf. For 61 years, Charles was a member of the Masons. He belonged to Lodge #83 and was a 32nd degree Mason. In April of 2009, Charles miraculously survived a severe stroke and proclaimed the nickname "Lucky Chucky." Over the course of the next ten years, he continued to live a full life with his devoted wife of 67 years. Charles will be deeply missed by his wife, Carrie Haught; daughters, Robin Alexander and Carla (Tom) Matott; siblings, William Haught, Mildred Bailes, and Ida (Paul) Mignano; grandchildren, Amy, Johnny, Jason, and Hannah; several great-grandchildren; and many, many friends. He was preceded in death by his daughters, Sharon Asay and Gail Wagner; and grandson, Ryan. Friends and family are welcome to Newcomer 131 N. Canton Rd., Akron, to visit on Monday December 3, 2018 from 5pm until 7pm, and again on Tuesday December 4, 2018 from 12pm until 1pm. A funeral service will take place on Tuesday at 1pm officiated by Pastor Joel Cochran of Chapel in Marlboro. Interment to follow at Hillside Cemetery in Randolph, Ohio. Please scroll below to leave a special message for the family. Add your memories to the guest book of Charles Haught. Carrie, we are so saddened about the passing of Chuck. He was so sweet and friendly. I will miss his waves and hugs. So many good memories having you and Chuck as neighbors. He was truly a miracle in our eyes and thanked God for every day he was given. May he rest in peace with his loved ones. Thoughts and prayers to you and your family.